Recent release “Caldera” from Page Publishing author B. R. Miller is a potent disaster fantasy imagining the cataclysmic eruption of the massive volcano lying beneath Yellowstone Park, the jewel of the American National Park system. 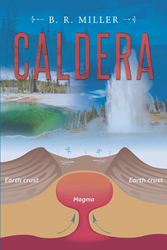 B. R. Miller has completed his new book “Caldera”: an engrossing novel in which the predicted eruption of the ancient supervolcano lying dormant beneath Yellowstone Park in the northwest corner of Wyoming. Published by New York City-based Page Publishing, B. R. Miller’s ominous tale depicting an all-too-possible natural disaster that would alter the landscape of the iconic American West forever. Readers who wish to experience this chilling work can purchase “Caldera” at bookstores everywhere, or online at the Apple iTunes store, Kobo, Amazon, Google Play or Barnes and Noble.